KBShimmer - Nauti by Nature Holos - Polish Etc. Today, I am sharing with you the gorgeous new holos from KBShimmer! The Nauti by Nature Collection for spring has 6 new linear holographic shades and six new crelly/jelly/shimmer shades. The holos look so great, I wanted to share them in their own. 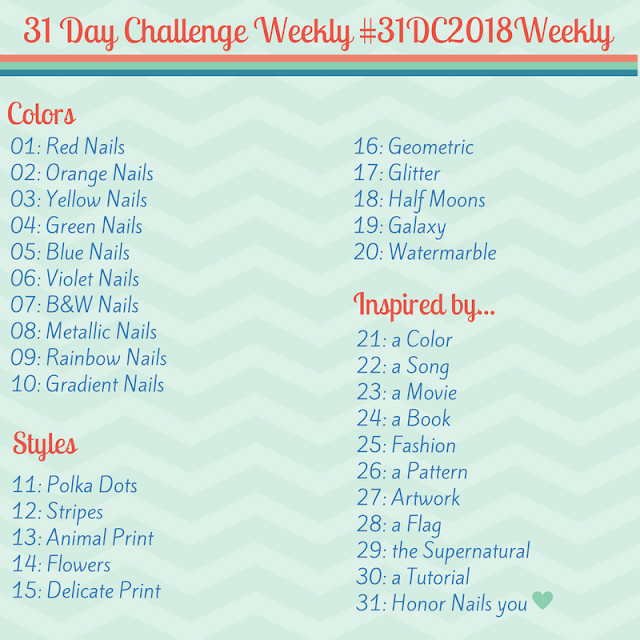 (Plus, I am on vacation and went to upload all the photos from this collection and realized I missed swatching one polish...oops! So I will share the second half of the collection once I get back in town.) The formulas are amazing and the rainbows are flying off the nails with these polishes. Let's take a look! To prevent repetition, here is the low down on these shades. They all had the same perfect formula. Very smooth to apply and opaque in two coats. Each swatch is topped with KBShimmer's quick dry top coat, Clearly On Top. Copa-Banana - A golden yellow linear holo. This shade is a great mix of both yellow and gold. I think it leans a little more on the gold side but that is likely because of the crazy holo. It is strong. Keep Palm and Carry On - A deep but bright green linear holographic. This is a wonderful shade of green. It is darker but there is a hint of yellow in it. It very much mimics the deep greens you would see in a tropical rainforest. Macaw Me Maybe - A bright, saturated red linear holographic. BAM! This is a fantastic red. I would almost classify this as a Christmas red. Actually, four of the holos in this collection would work very well during the holidays. In real life, the linear holo is super strong here. Lots of rainbow flashes in the sun. The Girl is Tiki - A muted red toned coral linear holo. This is a less saturated version of the Macaw Me Maybe. The base color of this holo can look more rusty orange in some lights and then more pinky red in others. I bet it would look great on darker skin tones. Latitude Adjustment - A deep purple leaning blue linear holographic. The blue base is not exactly cobalt but not exactly navy. It's bold and beautiful, though. I like to wear bold blues like this as a pedicure in the summer. Tropic Like It's Hot - A deep teal linear holo. The base color of this shade is more of a ocean blue leaning teal rather than a emerald leaning teal. Very tropical and mermaid like. I didn't have any staining when I took this polish off but I had a peel off base coat on. I would still be cautious because teal polishes are notorious for staining. So! Don't you love these new holos? If you are a holographic fanatic, then you will love these easy bundle that KBShimmer has put on the site. You can get all six of these polishes plus a free Fillin' Groovy Ridge Filling Base Coat for $55. Of course, you can pick and choose which colors you want. The are only $9.25 each and all available now! That gold holo looks so stunning on you!